1. Used to indicate obligation, duty, or correctness, typically when criticising someone’s actions: “he should have been careful”. 2. Indicating a desirable or expected state: “by now students should be able to read”. How many shoulds, musts, have-tos do you have in your life? A should is an external expectation on your behaviour. Shoulds can come from others or ourselves as an ‘encouragement’ or ‘demand’ that we do something. However, you may have noticed that the things you should are often the hardest to get done even when you want to do them. In this EFT Cafe will show you how to undo some of these old shoulds that are no longer working for us with things that we want to do and are motivated to do without the burden of the expectations of ourselves and others. Shoulding can be a large part of procrastination so if you have a to-do list that is full of mysteriously unfinished items bring it along so that you can use the processes demonstrated to “unshould” the list and make it much more likely that you will complete it. This EFT Café is on Weds 12th October from 7pm-9pm at St Oswald’s Hospice Teaching Centre, Gosforth, Newcastle upon Tyne. The cost for this workshop is just £10. Have you ever had goals that you just can’t quite get started on (or finish)? Goals or plans that should be easy to attain but somehow you just keep putting it off, or getting in your own way. If so, you have met The Resistance – a collection of internal barriers or limiting beliefs that get in your way success. Fortunately it is easy to work with limiting beliefs using EFT. Unfortunately they can be very difficult to spot. Like strong tidal currents they are often not visible on the surface but can work below the surface to drag you off course or even stop you in your tracks. In the September EFT Café Andy Hunt will demonstrate a simple, two-part process for uncovering a wide range of limiting beliefs and show you how to use EFT to dissolve those beliefs once they have been found. This EFT Café is on Thursday 15th September from 7pm-9pm at St Oswald’s Hospice Teaching Centre, Gosforth, Newcastle upon Tyne. The cost for this workshop is just £10. Please note: Because of a booking clash at the Hospice Teaching Centre we are running this EFT on Thursday night rather than the usual 2nd Wednesday of the month. The EFT Cafe will return to its usual Wednesday slot in October. 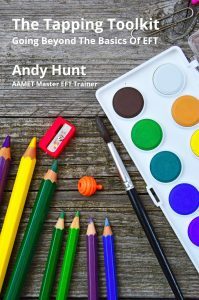 In this month’s EFT Cafe Andy Hunt will demonstrate a new approach he created for rapidly dissolving limiting beliefs. The Belief Flip is a simple EFT process for neutralising many types of limiting beliefs quickly and easily. One such limiting belief might be: “I will always be poor”. Persistent tapping on the belief statement to reduce the charge over time. Investigate the events that led up to the formation of this belief, neutralising each memory with the movie technique until the belief has collapsed. Use some clever reframing in your tapping to verbally loosen the belief’s hold. The Belief Flip is a simple reframing pattern that you can use on many types of belief. It will typically neutralise the belief with just one or two rounds of tapping. It might take a little bit of effort to fully ‘get’ the pattern at first, but it is worth it. This process works by stretching the limiting belief so far out of shape during the tapping that it can not come back into its original form. It works well with beliefs that involve permissions and black and white thinking. I wake up at night worried about the mistakes that I made the day before. I replay conversations after I’ve had them to see what I’ve done wrong. When I’m with other people, I wonder if they’re critical of me. I’m afraid that there’s something basically wrong with me. I wonder what other people would think of me if they really knew what I was like underneath. If you do, then you probably have a well developed inner critic at work. In this month’s EFT Café, Andy Hunt will show you how to use a new EFT based technique to soften your inner critic. He will guide you step by step through a process that uses imagination, metaphor and tapping to reform an inner critic so it can either retire or become a supportive advisor. 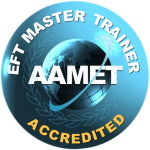 The process is quite simple but requires a good understanding of EFT, you will need to have completed at least an EFT Level 1 training to attend this event. Unlike most other EFT Cafes you must register for this event there are only 12 places available. Please contact me using the form on the front page to book your place. Important: If you answered a definite yes to all of the above it is possible that you have a very strong inner critic which may seriously impact on your life. This two hour workshop is not intended as a substitute for personal therapy. Please take responsibility for your own well-being and use your own judgement when attending. If you would like to see my privately to work on these issues please get in touch. Many years ago, famous psychologist, C G Jung proposed that we were forced by upbringing, or experience, to conceal important aspects of ourselves to get along with those around us. Those aspects and capacities were hidden away in what he called The Shadow, the part of the psyche where all the disowned parts of ourselves are put away. It’s not just the negative aspects of ourselves we need to conceal, many of our positive possibilities were pushed into the shadow to get along with our care givers and friends. As children we enter the world as little bundles of energy, noise and enthusiasm. As part of our socialisation process we learn that there are some things we can and can’t feel. For example, most children are often exuberant, excited and determined to speak, this can be troublesome to their parents in certain situations. In an effort to make their children more acceptable to themselves and other people they restrict or even punish displays of enthusiasm and outspokenness. For the child feeling exited becomes a forbidden feeling, it’s just not allowed and has to be suppressed. Unfortunately for us many of the things we learn in childhood follows us into later life limiting our range of movement. Our old permissions are one of these limitations. As an adult perhaps would like to feel more excited, enthusiastic and alive but for some reason it seems difficult – almost as if it wasn’t allowed. In February’s EFT Cafe we will identify areas in permission has been denied to us and use a simple and quick tapping routine to release those old bonds and give us permission to think and feel as we wish. The EFT Cafe is on Wednesday February 9th between 7pm and 9pm at St Oswald’s Hospice, Gosforth, Newcastle upon Tyne and costs just £10. You need some experience of EFT to attend this event.